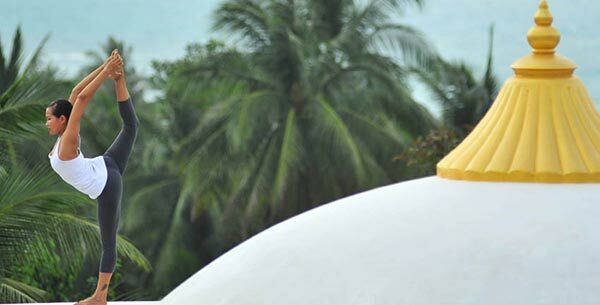 From the serene mountaintops of the Himalayas, to the idyllic beaches of Thailand, yogi lovers can enhance their practice across the globe on our luxury yoga holidays, with hand-selected retreats in some of the world’s most exotic destinations. If you’re tired of your hectic daily schedule and visiting the same yoga studio every week, take a look at our 14 best exotic yoga retreats for discovery and adventure, and improve your well-being whilst exploring new corners of the world, to return home feeling happier and healthier. Practice daily beach yoga, from sunrise to sunset on Portugal’s Atlantic coastline, for one of the best exotic yoga holidays at Paradis Plage. 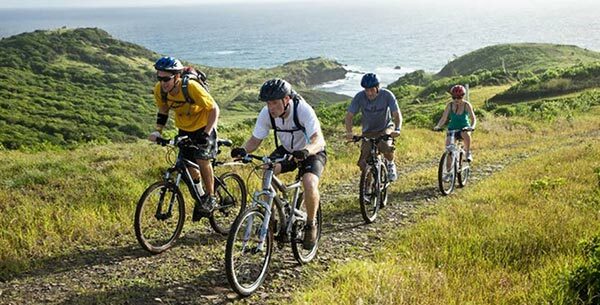 Keep active on your healthy adventure as you combine Manipura and aerial yoga with discovering the island through a selection of water sports, mountain biking and treks. 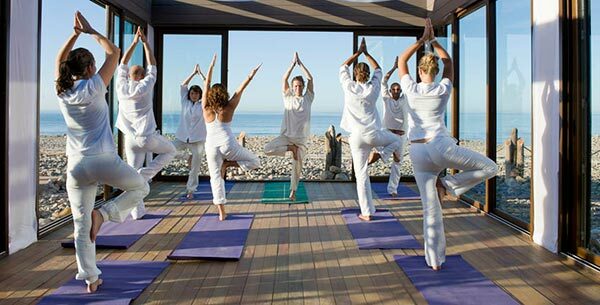 One of the best exotic destinations from our range of yoga & spa holidays, enhance your well-being after an active day in the traditional Moroccan Hammam and relax with therapeutic spa treatments. 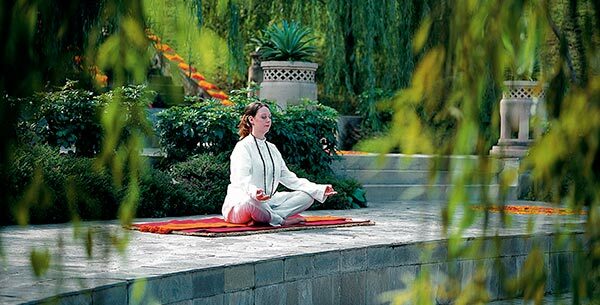 Escape to Ananda in the Himalayas and rebalance with yoga amongst the calming landscape of this exotic yoga retreat. 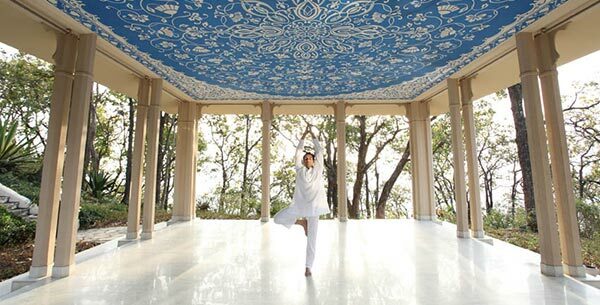 An ideal choice from our yoga & culture holidays, enhance your well-being when you combine personalised yoga sessions and group classes, with discovering a taste of local culture through traditional Indian music classes and dance performances. For a true sense of wellness, make the most of complimentary Pranayama and meditation classes, before relaxing at the luxury spa with aromatherapy massages and reflexology. For a yoga & fitness holiday in an exotic island paradise, retreat to the Caribbean and discover the stunning island of St Lucia with The BodyHoliday. Surrounded by natural waterfalls and acres of unspoilt rainforests, improve your health and fitness with private yoga or Pilates lessons, personal training sessions and a host of fitness activities, from Box Fit to Qi Gong. Test your sense of adventure on the crystal clear waters with windsurfing and kayaking, and discover the island with hiking and mountain biking. Make a getaway to the Thai Island of Phuket and discover the beauty of Cape Panwa as you experience the ultimate yoga & SUP holiday. Find your inner and outer balance through daily practice of yoga and stand-up paddle boarding (SUP), and open your mind to exploring the enchanting hidden coves. Develop a further understanding of the benefits of yoga and SUP combined as you tone up and lower stress levels for a true sense of well-being. Go on an adventure to the beautiful Thai island of Koh Samui and discover a healthier lifestyle on a cleansing yoga & detox holiday. 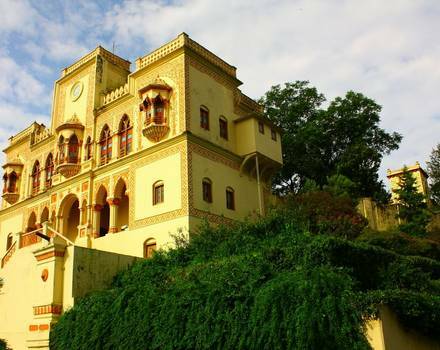 This exotic yoga holiday at healthy retreat, Absolute Sanctuary, will allow you to discover various types of yoga through unlimited classes including, Ashtanga, Yin-Yang, Pranayama and Hot Flow. 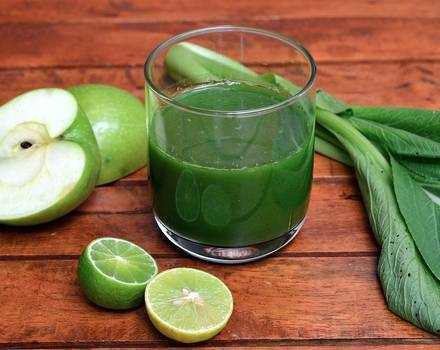 Complement your luxury yoga retreat with the signature detox programme to meet your individual needs; including detox drinks, nutritional supplements and delicious healthy meals, leaving you feeling energised and refreshed. 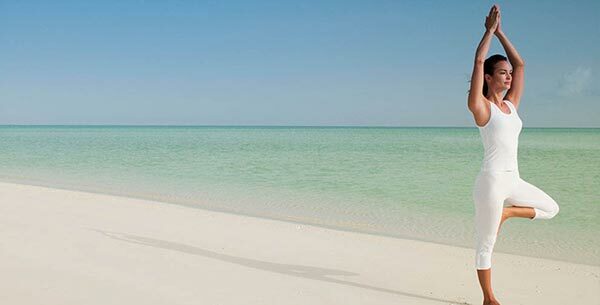 Discover paradise on the private island of Parrot Cay and feel the soft sand between your toes as you practice daily yoga and Pilates looking out onto the Atlantic Ocean on one of our best exotic yoga & Pilates holidays. Further improve your knowledge as you open your mind and calm your senses through Vedic yogic philosophy group discussions, before raising the pace with mountain biking and windsurfing or unwinding in luxury at the world renowned spa. Relax and de-stress in the beautifully peaceful Six Senses resort. Set in a secluded bay on the headland of the Musandam Peninsula of Oman, this is the perfect location to unwind on one of our stress busting yoga & wine holidays. After a morning developing your yoga skills and guided meditation, discover what the Middle East and it’s tempting wines have to offer. Unwind with indulgent spa treatments or alternatively increase the pace with some tandem paragliding, diving or fishing. 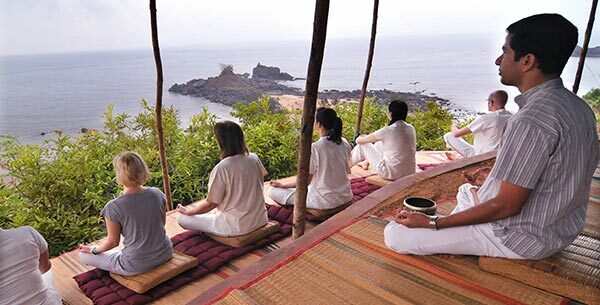 Located in India’s picture-perfect West Coast countryside is SwaSwara, one of the best yoga destinations for an exotic yoga & Ayurveda holiday. This healthy holiday focuses on the therapeutic abilities of holistic Ayurveda treatments, combined with daily yoga sessions, to heal and rejuvenate your mind, body and soul. Take an adventurous stroll amongst the palm and coconut trees to the spiritual Om beach of Gokarna and discover India’s ancient culture whilst exploring stunning temples for a wellness holiday with a difference. Take a break from everyday life and experience total relaxation at Shreyas, a fantastic exotic yoga destination for one of our best yoga & meditation holidays. Begin your adventure of self-discovery with a specialist wellness consultation, helping to adapt your stay to your personal goals and needs. Shreyas wellness approach is dedicated to ensuring you have a truly relaxing experience through a range of yoga and meditation classes, complemented with luxury spa treatments, to guarantee you spend your healthy holiday in total tranquillity. 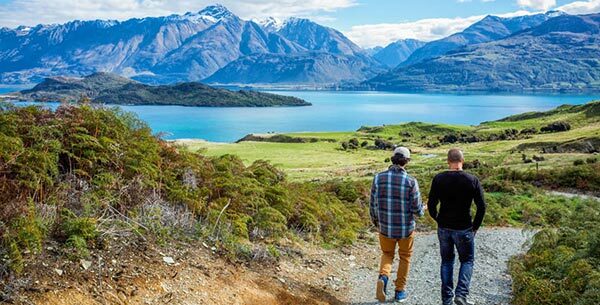 Discover New Zealand’s iconic landscape on one of our eye opening yoga & walking holidays, spent in the Southern Alps at Aro Ha. Combine Vinyasa yoga and meditation classes, with TRX strength training and healthy vegetarian cuisine for optimal well-being, before discovering holistic wellness with daily therapeutic massages and unlimited use of the water therapy suites. One of the best locations for an adventurous walking holiday, re-connect with yourself and with nature at this healthy eco wellness retreat with a series of sub-alpine hikes. 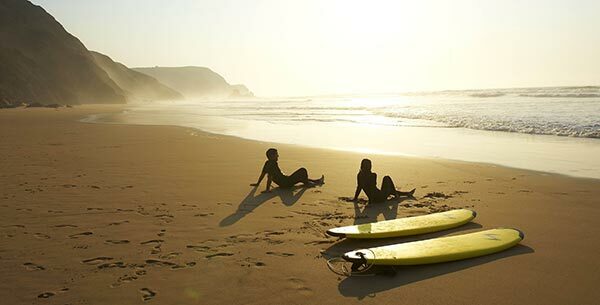 A warm climate, gorgeous beaches and tropical waters is what makes Costa Rica one of the best exotic destinations for a yoga & surfing holiday. Discover why Florblanca prides itself on its first class yoga coaching through the private and group yoga lessons, including specialised classes in Vinyasa and Ashtanga yoga. With two beautiful beaches renowned as great surfing spots, take the opportunity to learn to surf for an adventurous edge to your healthy holiday. 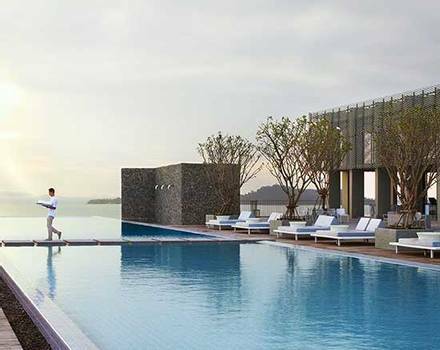 Located on Vietnam’s East Coast, on one of the world’s best exotic beaches, is a luxury yoga retreat dedicated to enlightening your well-being, ideal for a yoga & beach holiday. With their own individual yoga style, Fusion Maia will immerse you in a personalised introduction to yoga through a combination of private lessons and group classes. With a guaranteed minimum of two spa treatments a day; enjoy choosing from a range of body scrubs, facials and pressure therapies, for a heavenly beach spa holiday. 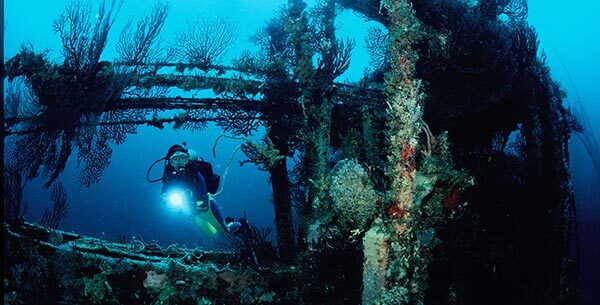 Discover the ocean and explore exotic marine life at this adventurous wellness retreat in Jamaica, one of the world’s best exotic destinations for a yoga & diving holiday. Begin your day with yoga and utilise its calming breathing practices as you explore some of the Caribbean’s finest diving sites with a professional PADI dive master. Complement your days diving experience with luxury spa treatments, meditation, nature walks and group classes to restore your energy before settling down to rest for another unforgettable day. 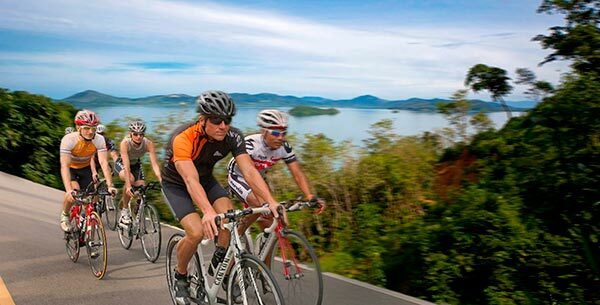 On the idyllic island of Phuket, healthy holiday retreat Thanyapura, offers one of the world’s best exotic destinations for an active yoga & sports holiday. Enhance your yogic practice whilst building your fitness as you discover whether you were destined to be a triathlete, with expert coaching for all abilities in swimming, cycling and running. End a day of training sessions by soothing aching muscles with a re-energising sports massage, to revitalise your well-being. 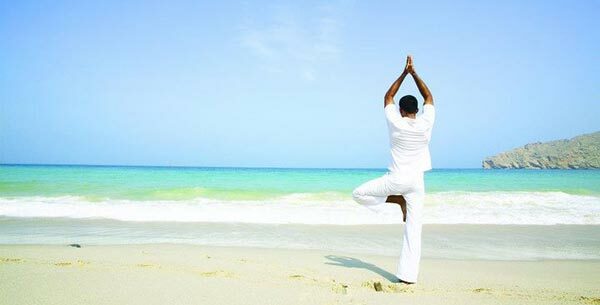 discuss tailor-making your perfect yoga holiday.